Is NipponIchi's Disgaea series really over ten years old now? When I first played the original game back in 2003, I was at the height of my curiosity about Japan, and the anime boom at the turn of the millennium was in full gear. Needless to say, this goofy anime humored series was right up my alley, and it fit nicely in the void left behind by over half a decade of milking Final Fantasy Tactics for all it was worth. Times have changed, though. I live in Japan with my curiosity waning everyday, and I might catch an anime episode once every few months. However, Disgaea still remains relatively unscathed. Goofy anime characters, sprite-based graphic style, grid-based strategy combat. All hallmarks of the series as I remember it, all the more reason to jump back in with Disgaea 5. I think I've laid off of NipponIchi's style because it seems so much more suited for a handheld these days. These deep RPGs take up so much of my time, and the best place for me to just zone out and enjoy such a lighthearted game anymore: the train. However, the developers have stated they are taking full advantage of the PlayStation 4 to display up to a hundred sprites on a screen at once. With that in mind, I wonder if the PlayStation Vita can handle it. Maybe I should stick to Disgaea 4: A Promise Revisited while I wait for that news. I've heard it's up to par with the original. 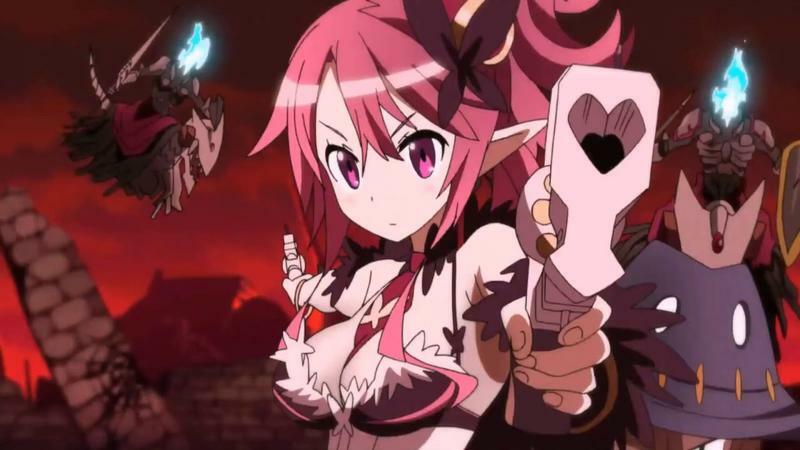 Disgaea 5 will be released on Mar. 25, 2015 in Japan. No American release date has been set yet, but NipponIchi has been good about getting these over here. It will come.